You do not need a ticket for this event. 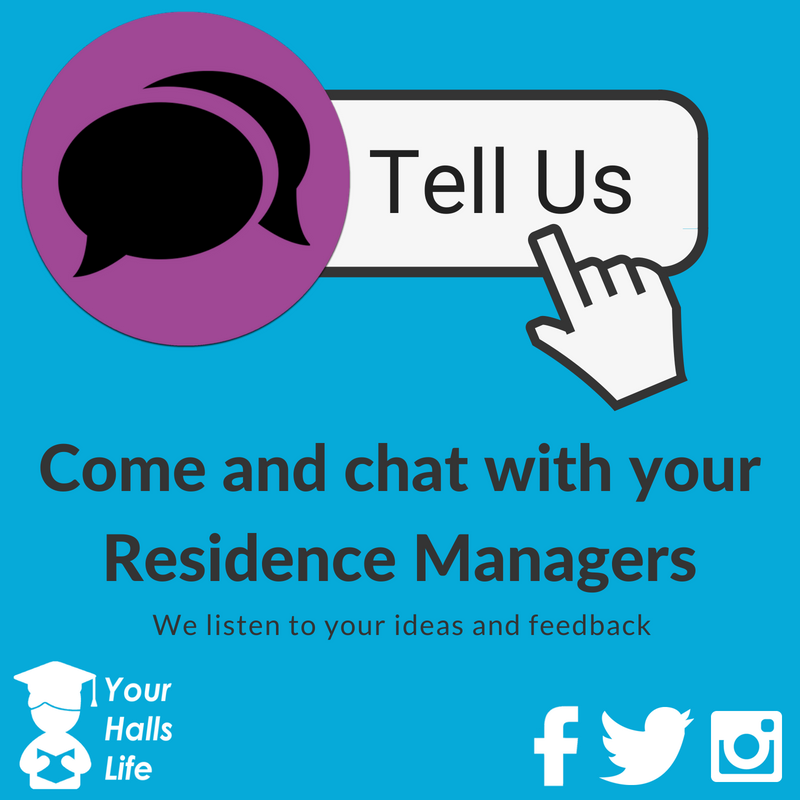 Your Residence Managers will be available in Park Lounge and Bridges Reception for our monthly Tell Us events between 2-3:30pm on Monday 5th November. This is a chance for you to have your say and speak directly to those managing your halls, because we take what you say on board and use it to make changes and improvements to our services!